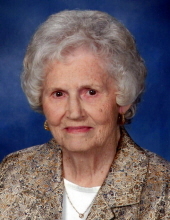 Laura Nell Fowler age 91, of Paducah passed away at 6:27 p.m. Wednesday, January 9, 2019 at Superior Care Home. Laura was a loving Christian mother born of humble beginnings the youngest daughter of a share cropping family in West Tennessee. She graduated from Beech Bluff High School as Salutatorian and played basketball. She was married to Army World War II veteran sweetheart, Haskel Ray Fowler for 57 years until his death in 2005. After starting a family she enjoyed regular fishing trips to Kentucky Lake with her family. Much of her leisure time was spent watching her sons youth baseball teams, gardening vegetables and raising flowers. She was an active member of Margaret Hank Cumberland Presbyterian Church and later Lone Oak First Baptist Church where she was a member of Doorkeepers Sunday School class. She was a long time salesperson at Runge Shoe Store in Paducah. After retirement they enjoyed many road trips touring the U.S. with close friends and family. After her husband’s death she acquired her constant companion Pomeranian “Fancy Face” and they became inseparable. She dearly loved and was so proud of her eight great-grandchildren. She could spend all day watching them play. Many thanks to the “Tuesday Night Supper Club” for their friendship and concern. The last four years of her life were shared with “new” family member, caregiver, Sharon Luchesi whom the family is very thankful. Survivors include two sons, Steve (Debbie) Fowler, Independence, KY and Bruce Fowler of West Paducah; four grandchildren, Ryan Fowler, Ashlea (Tyler) Terrell, Erik (Danielle) Fowler. Lindsey (T.J.) Dube’; eight great-grandchildren, Kennadi Tune, Paysli Terrell, Tripp Terrell, Estella Fowler, Max Fowler, Laurie Fowler, Brooklyn Dube’ and Weston Dube’, several nieces and nephews. Preceding her in death were husband, Haskel Ray Fowler; parents, John Malcomb Latham & Annie Wayne Latham; two sisters, Rosalie Massey, Estalene Walker and one brother, Wayne Latham. Services will be held at 1:00 p.m. Monday, January 14, 2019 at the Lone Oak Chapel Milner & Orr Funeral Home with Rev. Jeff Wallace officiating. Burial will follow at Woodlawn Memorial Gardens. Visitation will be held Monday, January 14, 2019 from 11:00 a.m. until service time at the funeral home. Expression of sympathy may be made to Lone Oak First Baptist Church, 3601 Lone Oak Road, Paducah, KY 42001.